Published on 15 March 2017 in House. 0 Comments Tags: addition, DIY, home, home improvement, house, interior. Finally got to work on and finished the girls’ shower in the extension. 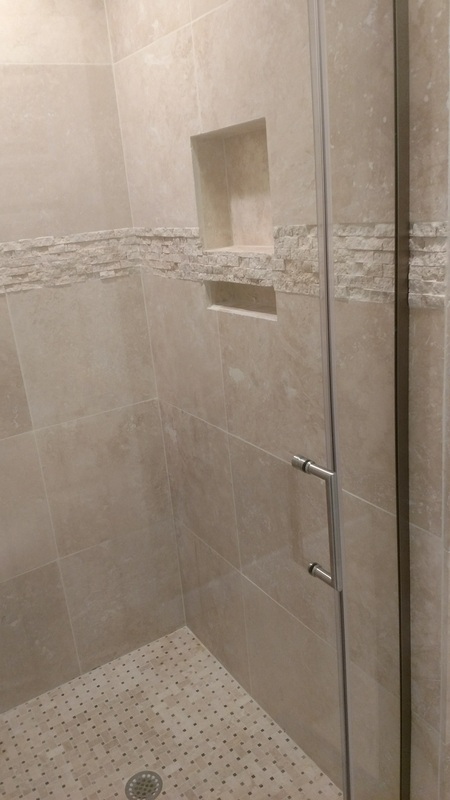 3′ x 3′ with travertine tile over a Schluter waterproof membrane, a Tile Redi shower pan, and a Dream Line frameless glass door. 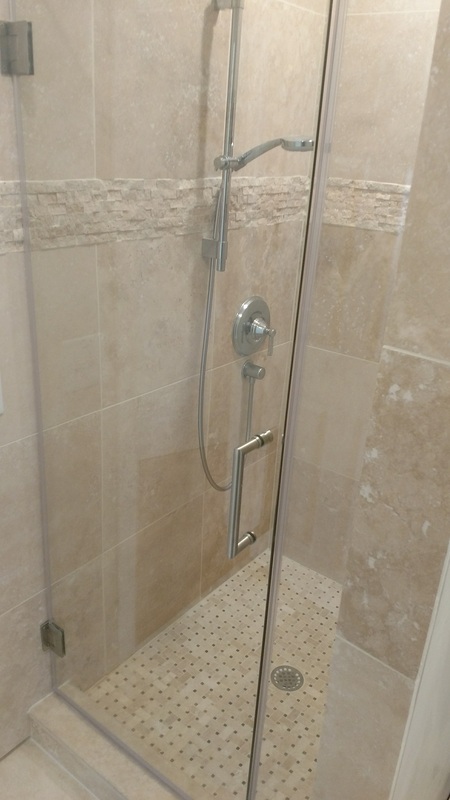 Plumbing and fixtures installed by professionals.